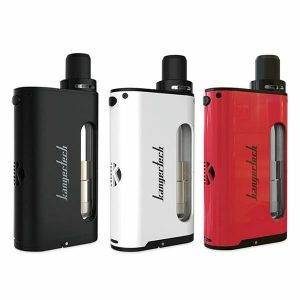 Kangertech has released a new version of their previously popular Dripbox kit, known as the Kangertech Dripbox 160 kit. 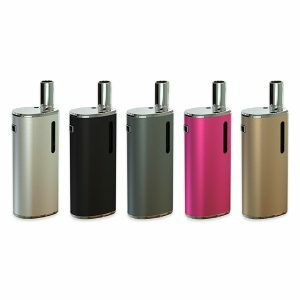 The Dripbox 160 kit has the same bottom feeder or “squonker” design to provide convenience and remove the hassles that come with dripping. 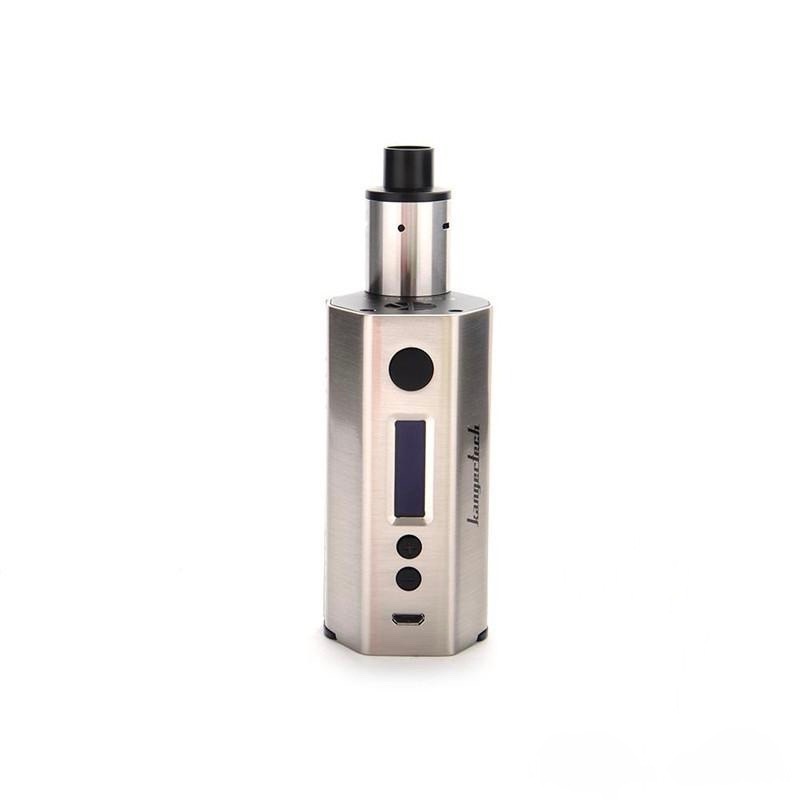 The Dripbox 160 mod features a temperature control mode that supports Nickel 200, Titanium, Stainless Steel, and NiChrome wire with an impressive variable wattage output of 7 to 160W. The Subdrip 160 RBA now uses a velocity style RBA base to simplify build creating and improving. The Subdrip 160 RBA uses a juice delivery method that allows the e-Liquid to saturate the cotton with the bottom of the 510 threads. There is a vape juice bottle located at the bottom of the device where e-Liquid is to be refilled or squeezed in order to maximize flavor. 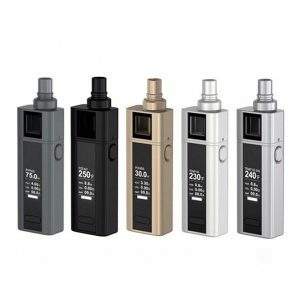 The previously mentioned Subdrip 160 RBA and Dripbox 160 are all featured in this vape kit. The Subdrip 160 RBA supports replaceable 0.2 ohm cotton drip coils which are very simply replaced or can be rebuilt to suit your personal preferences/desires. An alternative is filling the Subdrip 160 from the top. 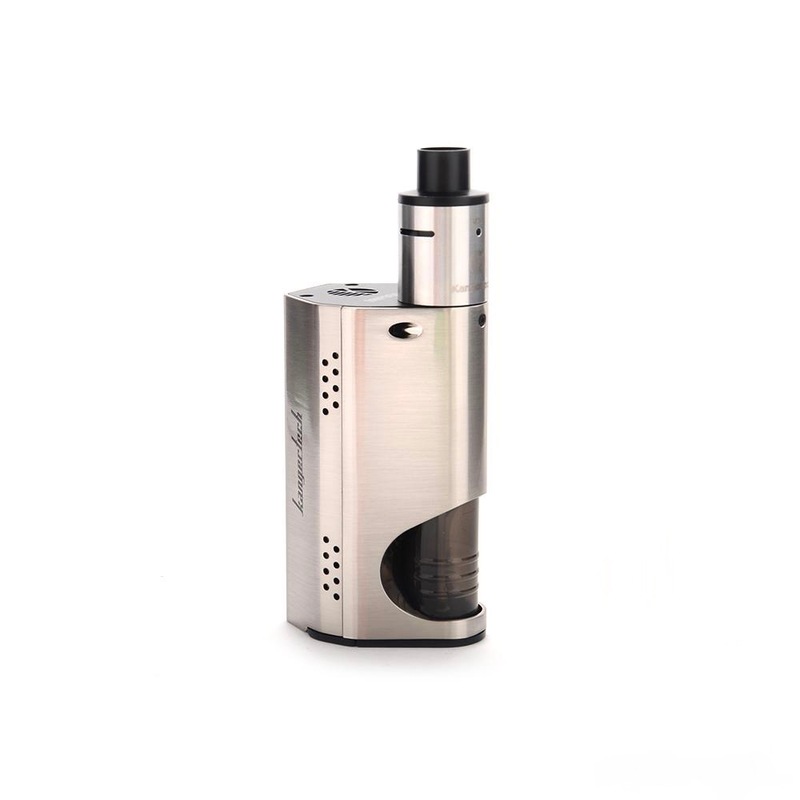 The Dripbox 160 mod can go up to 160W and has a great capacity of 7mL due to its design. 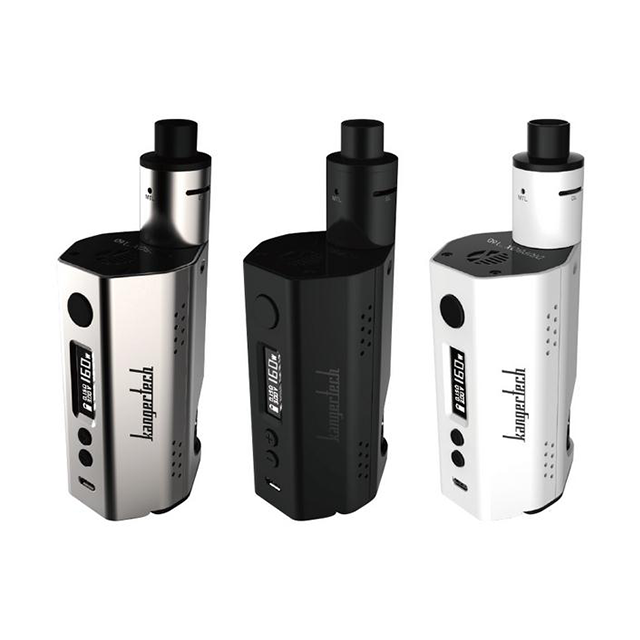 The Dripbox 160 mod uses two 18650 High Amp Batteries (not included) and has a Micro USB charging port in order to charge the batteries. 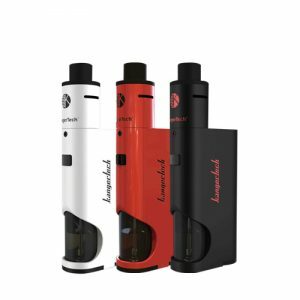 The Kangertech Dripbox 160 kit is to be regarded as an advanced kit, which is why it is not recommended for beginners.